Not as loose as yesterday, but still felt pretty good. No one at the Google busses in a costume. 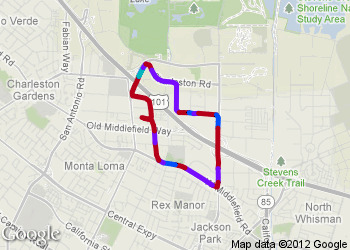 Finished Run at 9:24 AM, on 3.6 route, time 36:07, 3.65 miles, average 9:54 /mile.